Providing you good old fashioned service and superior quality windows every day! You'll find everything you need at US Energy. High - quality doors just for you! Get building products for less when you buy wholesale! We've got great deals for you! Family Owned and Operated Window & Door Company for Over 40 Years! Saving you money since 1966! When US Energy first started by distributing and selling International Windows in San Diego, California in 1966. Our prices cannot be beat! Not only will you get the best possible windows. Our service can't be beat. Call Us Today! 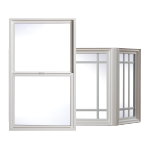 As a Milgard Windows Certified Dealer, US Energy has been trained to best assist you through the entire window replacement process. One on one service, money saving suggestions, top notch products, dedication and knowledge, we beat any written quote from our competitors, lowest quote GUARANTEED! and you'll save money and get exactly what you're dreaming of, and you deserve it! Please fill out the following form to have a representative contact you. Wood has always been praised for its beauty and natural insulating properties inside the home--but presented real challenges in terms of durability on the exterior. With Essence Series®, Milgard combines the best of both worlds. A durable fiberglass exterior stands strong to protect a solid wood interior against the elements for lasting beauty and exceptional performance. Essence Series windows offer seemingly endless design possibilities. The fiberglass exterior comes in 16 designer colors that fit any style or trend. Interiors are available in clear vertical grain fir, natural pine or primed pine. Seal or stain the natural pine or fir to complement the wood finishes in your home. Or go with primed wood and paint the color of your choice. 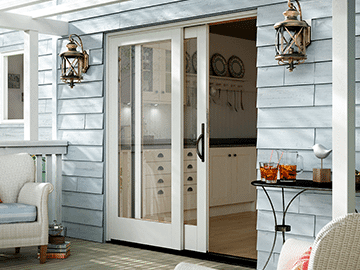 Milgard Essence Series patio doors are the perfect companion to Essence Series windows. 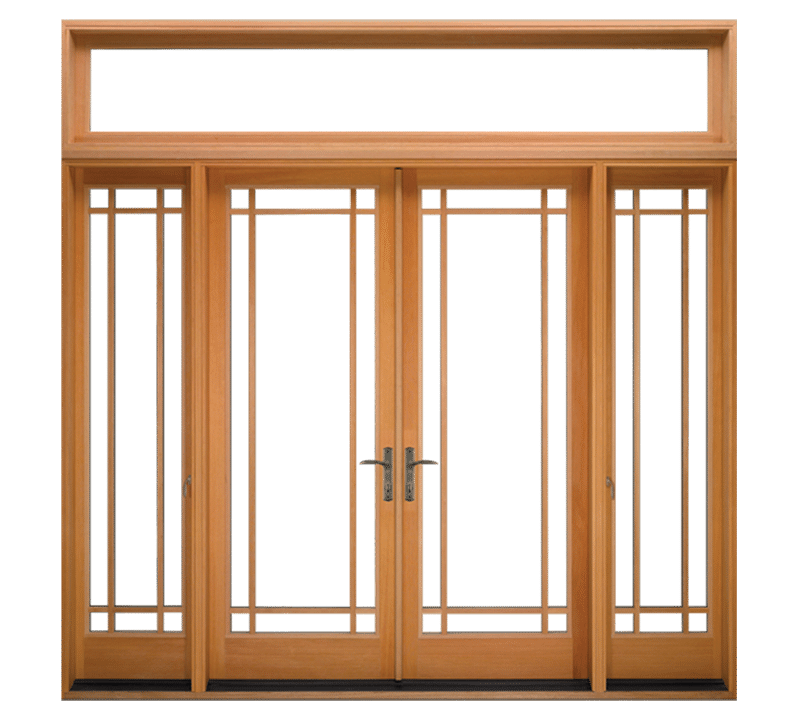 Essence doors combine the durability of a fiberglass exterior and the beauty of a veneered wood interior in Pine or Clear Vertical Grain Douglas Fir. 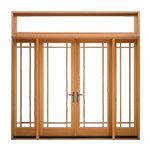 We have just added Bi-Fold and Pocket style options to our popular Moving Glass Walls product line. 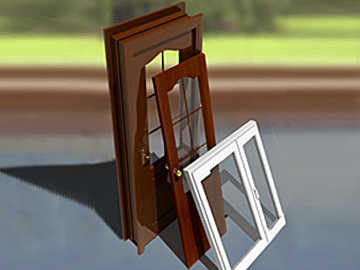 Family-owned and operated home improvement company with over 40 years experience in the windows and doors business. 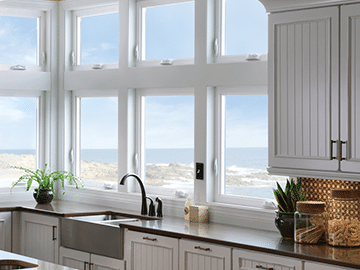 US Energy Windows & Doors Inc. is one of the most trusted window suppliers offering premium quality vinyl windows, wood windows, aluminum windows, and fiberglass replacement windows in Las Vegas, NV. We also specialize in interior and exterior entry doors, as well as bifold and sliding patio doors. Call 702-880-0875 for a free in-home consultation and estimate today. In researching windows for an addition to our home, we found US Energy Windows and we're thankful we did. Ed at US Energy was excellent in helping us decide on window selection and obtaining the best possible price. So I've been planning to replace the windows in my home for a long time. Being that my house was built in 1965 and still have the original windows. Todd and Ed are the best, they gave me 3 different quotes on different products available. They are a licensed window and door dealer so they can get many different products. They have established financing programs in place that offer different options. I went with the 18 months 0% financing and with the Simonton windows I did my whole house 5 retro fit windows and 2 French sliding glass doors. Simonton really is much better product then Milgard right now. They also gave us some good licensed installers to choose from.The contractors covered everything and also every time they where going to make loud noise they let me know before hand so I could tend to my toddler. Todd and Ed came and triple checked everything and made sure I was satisfied. They have by far the best costumer service I have received with window companies in Las Vegas. This is a family run business and you get treated like family as one of their clients. I would recommend US Energy for any sliding doors or windows. We first met with Stacy and she made us feel at ease with their product and she was able to be competitive with sale price quotes we got from Lowes and Home Depot! Ed the owner came out to do the measuring along with one of his installers. He also gave us another idea for our replacement window that we liked! Unfortunately, the door and window took longer to be installed as there were some problems which originated at the Milgard plant. To make a long story short, the door we ordered finally was installed along with our window by a very good installing team! They cleaned as they worked and did a great job! Todd the Manager along with the representative from Milgard made good on making sure we were satisfied for the time we had to wait for the replacement door. Thank you, US Energy and Milgard! I recently called US Energy regarding a problem I was having with getting windows open in house I recently purchased. They immediately made arrangement to have someone come out to see what the problem might be. After showing me what I was doing wrong, they said if I had any more problems to be sure and call. Was not window problem but operator error. Ed and Stacey were very nice to work with. THANKS. After much research and numerous quotes, we purchased a French patio door along with 3 windows from US Energy in November 2014. The quality of the products was superb, and the price was very reasonable. Before finding US Energy, we had some difficulty locating stationary windows in the correct size to replace the ones on either side of our patio door. Ed was extremely helpful in getting us the look we wanted and Curtis did an excellent job with the installation! We would definitely recommend giving them a chance if you're in the market for new doors and/or windows. 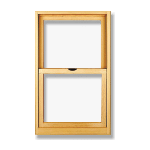 In researching windows for an addition to our home, we found US Energy Windows and we're thankful we did. Ed at US Energy was excellent in helping us decide on window selection (we had some unique requirements) and obtaining the best possible price. US Energy did the installation for us (our contractor commented on the excellent job). While we had a minor problem two of the very large windows, Ed contacted Milgard for us and they responded immediately. The Milgard technician was very knowledgeable of the product and resolved the problem very quickly. We have received many complements on the windows and are happy to recommend US Energy Windows & Doors along with Milgard to anyone in need of windows.